an “In My View” article by NIGEL WARD, commenting on the dire performance of the Police & Crime Commissioner for North Yorkshire. Readers will perhaps be aware that on 7th May 2016, Julia MULLIGAN [Con.] 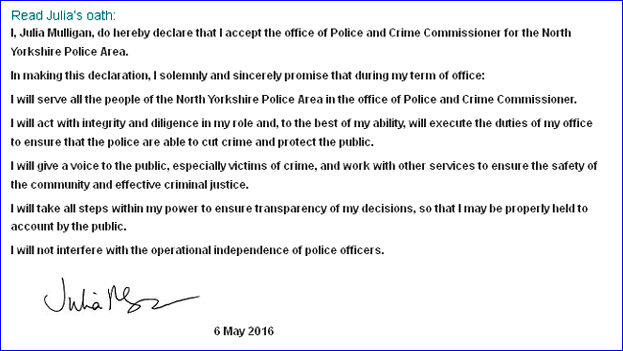 was re-elected to the position of Police & Crime Commissioner for North Yorkshire. 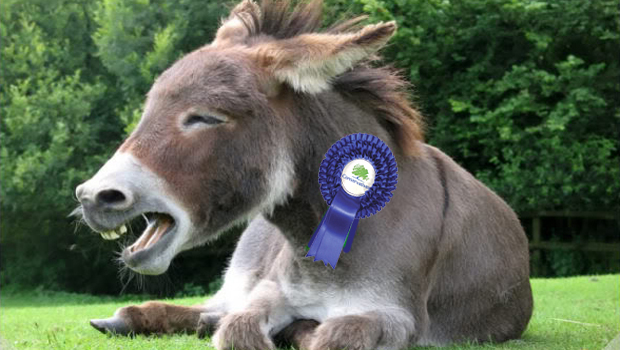 At the risk of inviting a publicly-funded million-pound law suit (under the terms of the Protection from Sarcasm Act 1066), I feel conscience-bound to venture the opinion that, in North Yorkshire, the PPC election is a contest for which a three-legged donkey with alopecia could be considered a shoo-in – always provided that it sported a blue rosette. My first effort at engagement with the present (and, until now, only) Police & Crime Commissioner for North Yorkshire took the form of an email to her dated 14th December 2012, one month into her first term, which I began by congratulating her on her election to office. Julia MULLIGAN [Con.] did not acknowledge my courteous and, in fact, gracious email; nor did she respond. This was disappointing; she had campaigned under the slogan “A Voice for the People”. I made five further unsuccessful attempts to communicate important information to Julia MULLIGAN [Con. ], again at widely-spaced intervals, culminating on 11th April 2014 – thus concluding a seventeen month saga of one-way traffic with nary a word from Julia MULLIGAN. Clearly, given that thirteen emails [marked variously *** STRICTLY CONFIDENTIAL *** and *** IN THE PUBLIC INTEREST***], concerning the matter of the five decades of child sexual abuse by Jimmy SAVILE and former Scarborough Mayor, Councillor and Alderman Peter JACONELLI [Con.] (as well as company frauds on two continents by two public office-holders) had been by totally ignored, the written word was not a productive avenue of approach to the Police & Crime Commissioner. Obviously, she was determined not to give a voice to me. 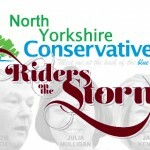 So on 24th April 2014, I attended a public meeting at the Royal Hotel in Scarborough, memorable for Julia MULLIGAN’s unequivocal condemnation of the system that ‘deals with’ complaints against the North Yorkshire Police. “I completely agree with you about the Police complaints system; it is NOT FIT FOR PURPOSE”. The above ‘master plan’ was provided to me by Mr Ray BUSBY, the legal officer for the North Yorshire Police & Crime Panel (Chairman: County Councillor Carl LES), who were at the time processing my Formal Complaint against Julia MULLIGAN [Con.] for ignoring those thirteen important and highly confidential emails. The fact is that, in throwing out my Formal Complaint, they had also thrown out my SAVILE and JACONELLI information – a classic case of the baby being thrown out with the bath water. SAVILE and JACONELLI were subsequently achnowledged by North Yorkshire Police to have been prolific paedophiles. Two years down the road, and despite the efforts (best or otherwise) of PCC Julia MULLIGAN [Con. 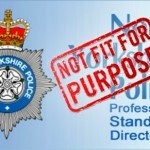 ], the complaints system remains NOT FIT FOR PURPOSE, but to an even greater degree – unless, as many seasoned observers assert, the real purpose of the complaints system is to deflect all criticism of North Yorkshire’s finest. Even in that dishonourable pursuit, its days must now be numbered. 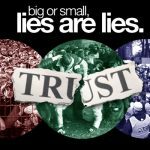 In the coming weeks, I will be publishing a series of case histories that divulge lies, manipulating evidence and smearing of members of the public on a routine basis. (See also my recent article “When Paid Public Servants Lie” and NYE Guest Author Neil WILBY’s superb article on a closely related theme, “The Inn Of Last Resort”). 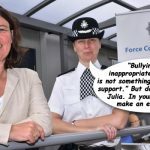 Meanwhile, readers have expressed great interest in the progress of the civil action against me, initiated by nine ‘civilian’ Claimants funded from the public purse by the North Yorkshire Police, with the authorisation of PCC Julia MULLIGAN [Con.] 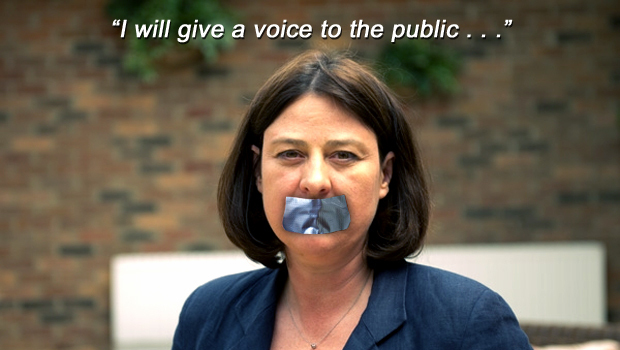 -to stifle the voice of a member of the public. Why, readers ask, has a citizen-journalist who has been thanked on numerous occasions by the North Yorkshire Police for his assistance in the SAVILE and JACONELLI investigations been targeted in this way? I wish I knew. Under a doctor’s certificate, I was unable to attend the initial Court hearing in the action against me on 9th February 2015; I was seriously ill and bed-bound. On Sunday 22nd February 2015, less than a fortnight after that first hearing, I was sufficiently recovered to write to Police & Crime Commissioner Julia MULLIGAN [Con.]. I reproduce my email, below. Download the PDF file Letter to PCC MULLIGAN. I have never received an acknowledgement or any form of substantive response from Julia MULLIGAN [Con.] – though I have, of course, learned a great deal since then. What utter twaddle. Clearly, my correspondence was being ignored for a reason; was it because it highlighted the inadequacies of the North Yorkshire Police? 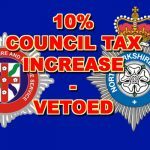 That ‘recently adopted policy’, in my experience, mandates total disregard of any communication that risks exposing the guiding lights of the North Yorkshire Police, past and present, as the self-serving cabal that they actually are. That must be why Julia MULLIGAN [Con.] ignored thirteen crucial emails highlighting serious crimes, past and present. That must be why Julia MULLIGAN [Con.] 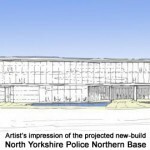 finally published the Decision Notice authorising a blank cheque for the North Yorkshire Police to pursue me through the courts, nine months after the case came to court. 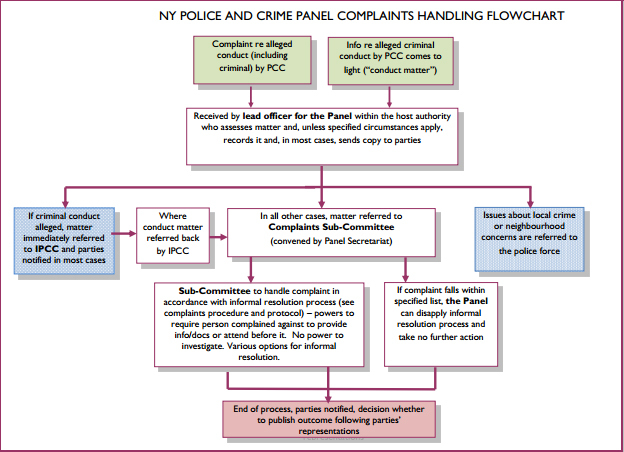 I could, of course, lodge a Formal Complaint against PCC Julia MULLIGAN [Con.] in respect of these obvious breaches of her Oath of Office – but what would be the point? Eight of the thirteen members of the Panel who would consider my Formal Complaint are Julia MULLIGAN’s fellow Conservatives. “All in it together”, as David CAMERON proudly proclaims. 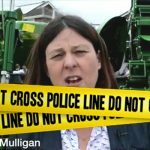 I am in little doubt that they would throw out my complaint – just as they did last time, when I complained about Julia MULLIGAN [Con.] ignoring those thirteen consecutive emails highlighting serious crimes in North Yorkshire. My guess is that they will always cover her precious derrière – in case, perhaps, they ever want her to authorise funding for another vastly expensive and embarrassingly futile law suit against me. Either that, or they now evince a level of incompetence that makes Dad’s Army look like the SAS. A slow process indeed – made no faster when one party is not to be trusted. They did not. Would you believe “disappeared” personnel files “hampered litigation”? Me neither. Incidentally, the IPCC had previously squandered another £100K, doled out from the public purse, on investigating MAXWELL and BRIGGS for disreputable conduct in unlawfully conferring advantage on relatives applying for NYP position – nepotism. Looking ahead, will Julia MULLIGAN [Con.] stand accountable for hundreds of thousands of pounds doled out from the public purse to pursue failed legal action against me? I intend to see that she does. 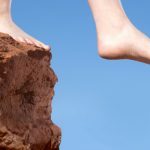 I foresee only three obstacles that could stand in my way: lies, manipulating evidence and smearing. Or maybe, as in the MAXWELL/BRIGGS scandal, all the files will simply “disappear”? 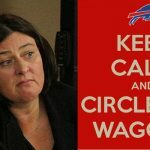 It is time for Mrs MULLIGAN to embrace that ruling. Are you ready, Julia? 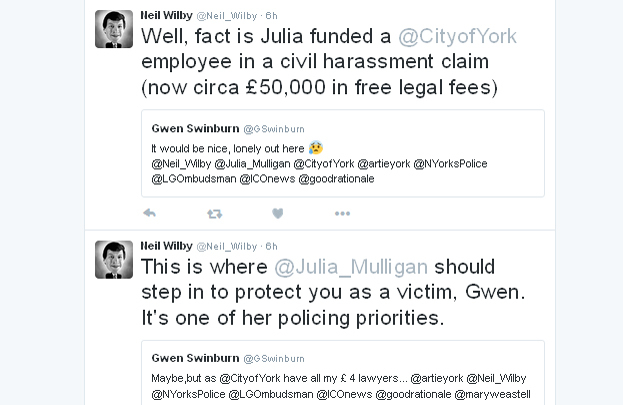 You might start by authorising some funding for the legal representation of gagged and bullied City of York citizen-scrutineer, Gwen SWINBURN. Meanwhile, thank you all for your help with my case. (PayPal ‘Donate’ Button – below, left). The Office of the Police & Crime Commissioner for North Yorkshire (OPCC) has been made aware of the publication of this article. In order to accommodate ‘right of reply’, arrangements have been made with the editor to publish any comments received from the OPCC here below – if and when any such comments are received.